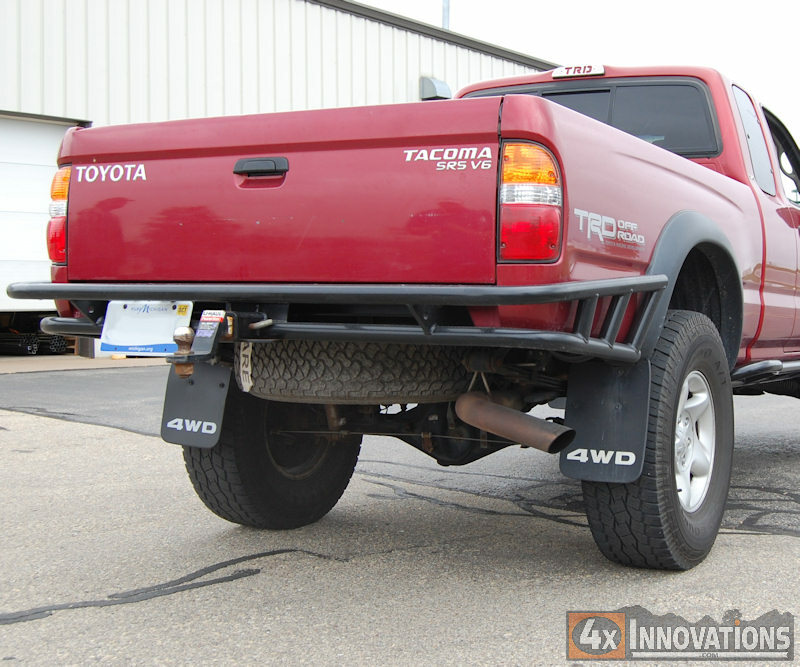 4x Innovations's already great Tacoma Rear Bumpers just got even better! 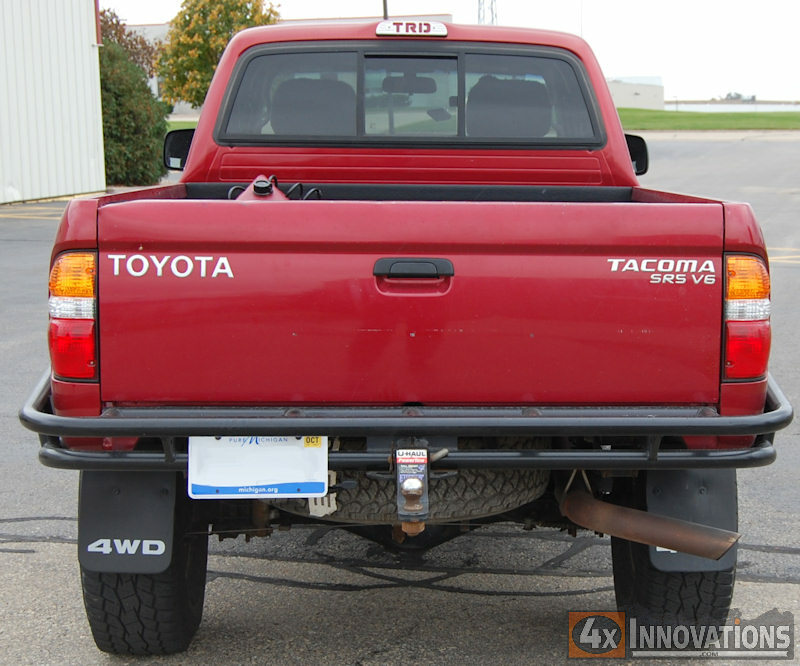 Tacoma Rear Bumpers are now available with a built-in Class 3 rated hitch receiver. While engineering this stout bumper and hitch, we started with the same great base we've been manufacturing for years and reengineered specific areas to increase strength and integrate the receiver. After extensive computer simulations to optimize the strength, destructive testing was performed to SAE specifications on a production model bumper. 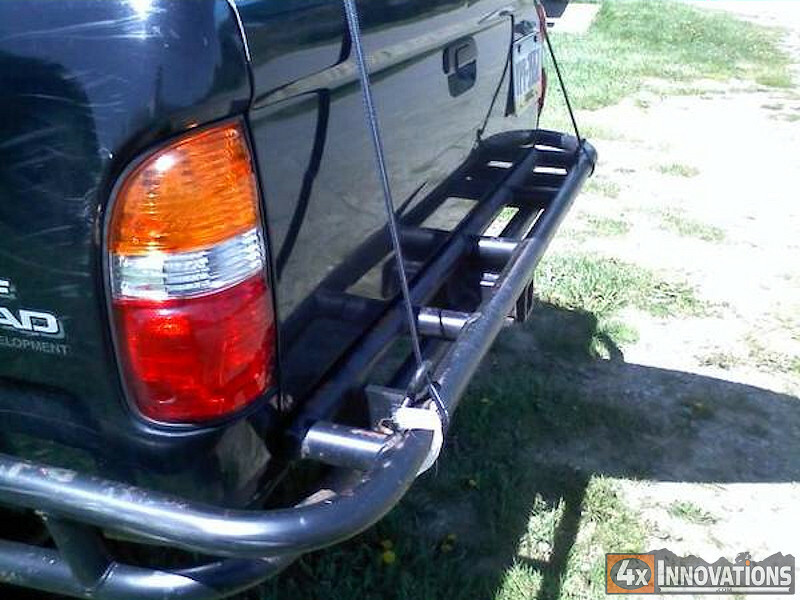 There are many great features to this bumper aside from the hitch receiver. To start with, the hitch bumper is built from the same great American manufactured steel DOM Tubing as all of our products. 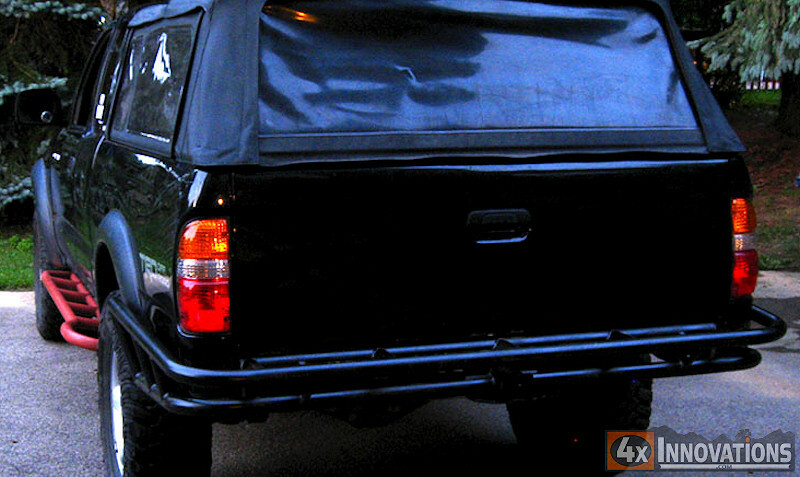 These bumpers also include the same great side protection you’ve come to expect. 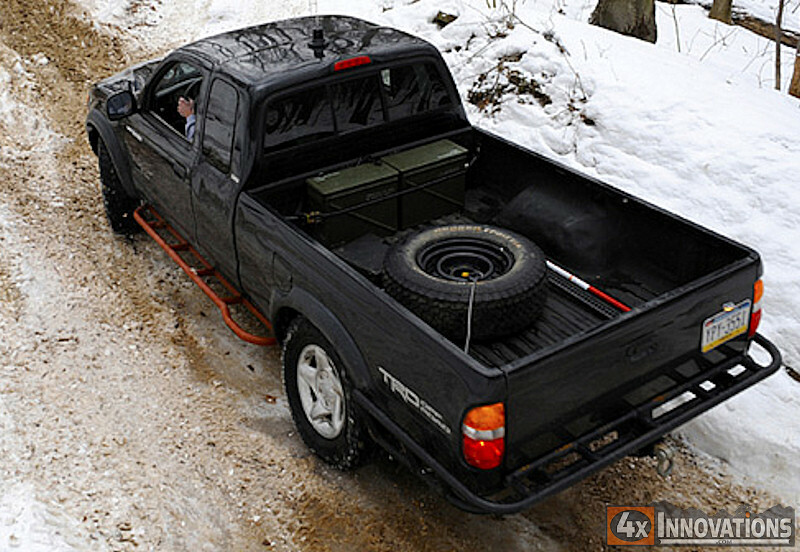 Around to the back, the bumper comes with a full width flat top that can be used as a step to access the bed of your truck. Mounting is achieved with massive 1/2 inch thick high grade steel mounting plates. The mounting plates provide the maximum tubing support and have an integrated hole for 5/8 inch D ring shackle tow points. 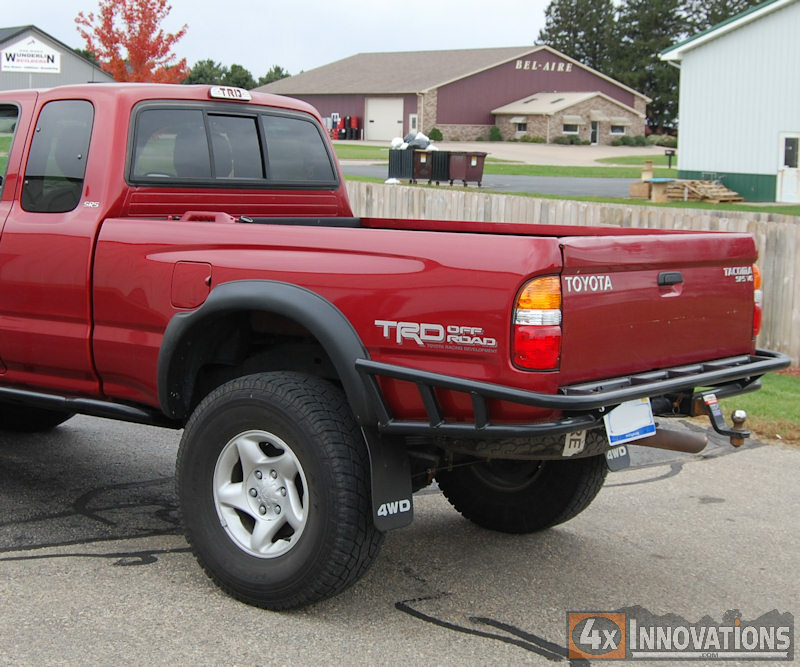 If you are running a body lift, we can now build your rear bumper with our new 2 inch lift mounting brackets. 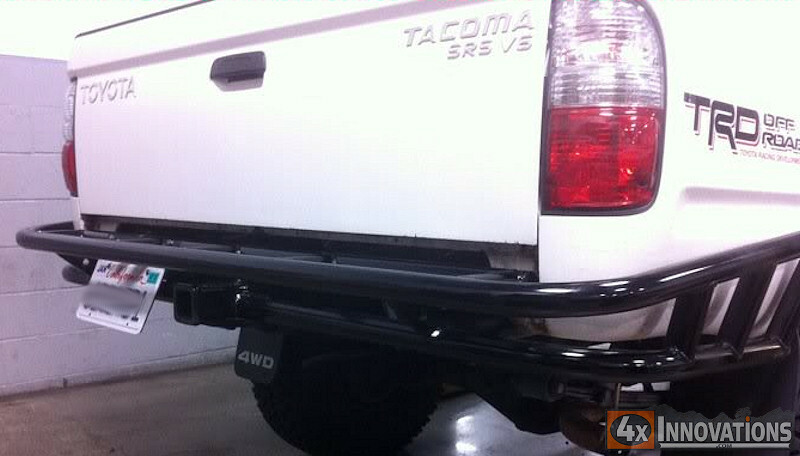 These new Tacoma rear bumper mounting plates lift the rear bumper by 2 inches. 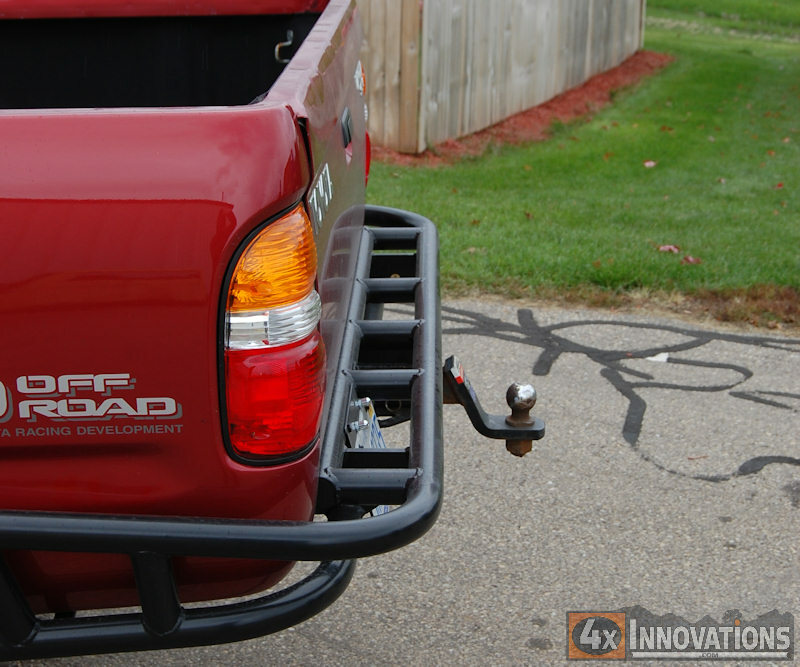 Don’t be stuck with rock anchor hitches anymore, order your 4x Innovations Tacoma Rear Hitch Bumper today!